Students may pre-order tickets on their registration form and receive a deep discount! registration form. 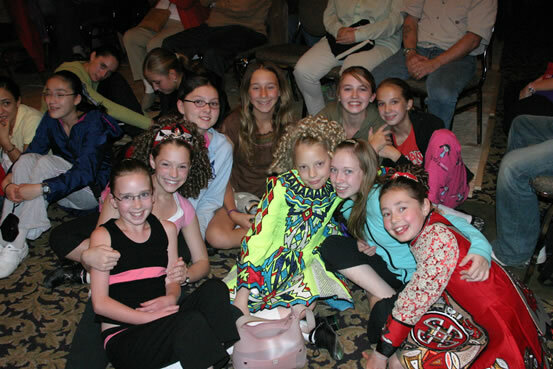 Plan to relax, perform, jam, socialize or chill out each evening on location at the CCPA! Performances and social gatherings happen Monday to Thursday evenings during CeltFest. All evening events are open to the public to enjoy and participate in! The instructional Faculty perform in the professional concerts listed below. Each show has a different theme, and a different combination of artists and numbers. Details of each show will be posted soon on the event listings, also appearing on the events calendar for July. Evening CONCERTS: Doors open at 7pm on Monday, Tuesday Wednesday and Thursday. Note: CeltFest participants receive reduced rates on concert tickets when purchased before June 25, 2012, as part of your registration form. After-ceilidhs feature and open stage for all CeltFest students to show their stuff. Approximate start time: 8:30-9:00. See more on this below. Each night the CCPA Auditorium is transformed into a Ceilidh place called the CeltFestival Club for an informal social gathering. After the student concert performances, there is a ceilidh (Gaelic for "gathering" each evening, allowing an informal open stage and a chance to do some ceilidh dancing! We provide sound, lights, a technician, a dance floor - it's a ceilidh! Each night the informal ceilidh "stage" is open to all musicians and dancers (individuals and groups), as well as the general public at a nominal cost at the door. Refreshments available! There are student performance opportunities at "after concert" ceilidhs each night, Monday, Tuesday, and Wednesday nights---(see above for listing of concerts). The "farewell" party following the Gala Concert on Thursday is a must-attend! The families and spouses are welcome to attend Thursday night. Each registered student will receive an invitation to which they are requested to RSVP so we may estimate our numbers. Wacky Jig & Hornpipe Contest Be a part of it! Non-serious competition, but serious fun! The only criteria for entry is to perform (dance, play, sing) a jig and/or hornpipe as part of your number! Use your imagination--the rest is up to you! Bring your family and friends. It's a family pub night, which features a called Ceilidh Dance and live instructor ceilidh-band entertainment! CeltFest Ceilidhs are free to CeltFest students with name badges and also for ticket holders to the evening's earlier concert. Not a CeltFest student, but want to participate at a discount? NEW! NOT A SUMMER SCHOOL DAY STUDENT BUT WANT TO ATTEND CONCERTS? CeltFestiValue! 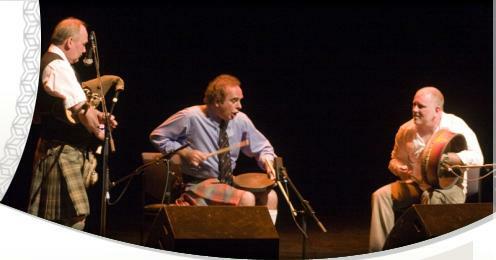 All 2012 Concerts & Ceilidhs at a discount! Pre-purchase a CeltPAK. Looking for leisure activities on/off the school site? Did you know that we present fantastic Celtic cultural and family events all year? Why wait for CeltFest to celebrate? Check out Year Round Concerts and Events.